Cosan Limited’s (CZZ – Analyst Report) second-quarter 2016 net income grew significantly year over year, driven primarily by sales growth, lower cost of sales, increase in equity and financial income and growth in forex gains. The company’s net income in the quarter was R$26.4 million (US$7.5 million) considerably up from R$6.5 million (US$2.1 million) in the year-ago quarter. 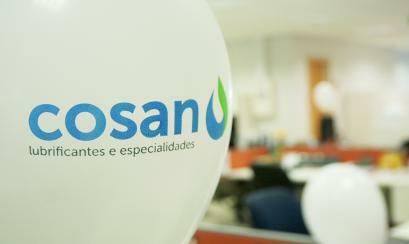 Talking about Cosan’s top line, revenues in the quarter totaled R$3,364.4 million (US$961.3 million), up roughly 1% year over year. The company operates under two business segments: Cosan S.A. and Cosan Logistica S.A. While the former includes Raizen Energia, Raizen Combustiveis, Comgas, Lubrificantes, Radar and Other businesses, the latter comprises the Rumo Logistica business. Fuel volumes sold inched up 0.6% year over year, primarily due to higher sales volume of gasoline, diesel and other products, partially offset by decline in volumes of ethanol and aviation. Revenues from sugar sales surged 96.1% year over year, while that from ethanol sales grew 34.2%. Energy cogeneration revenues decreased 12% year over year. Total natural gas sales volume fell 22.7% year over year. Revenues from Cosan Lubrificantes grew 8.5%, and net revenue from Radar decreased 10.8%, both on a year-over-year basis. In the quarter, Cosan’s cost of sales decreased 8% year over year, representing 59.3% of net operating revenue compared with 65% in the year-ago quarter. Gross margin increased 570 basis points (bps) year over year to 40.7%. Selling, general and administrative expenses increased 18% to R$535 million (US$152.9 million), representing 15.9% of net operating revenue. Financial expenses totaled R$843.2 million (US$240.9 million). Exiting second-quarter 2016, Cosan had cash and cash equivalents of R$2,544 million (US$787.6 million) down from R$3,210 million (US$894.2 million) in the previous quarter. Loans and financing decreased 6.8% sequentially to R$17,174 million (US$5,317 million). Raizen Energia (guidance for crop year Apr 2016–Mar 2017): Management expects crushed sugarcane volumes within approximately 60–64 million tons. Sugar volume sold will likely come in a range of 4.2–4.6 million tons. Guidance for ethanol volume sold falls in a range of 1.9–2.2 billion liters, while volume of energy sold is expected within 2.1–2.3 million MWh. EBITDA is likely to come within R$3.3–R$3.6 billion, while capital spending is anticipated within R$1.8–$2 billion. Raizen Combustiveis: EBITDA is predicted in a range of R$2.35–R$2.7 billion and capital expenditure within R$750–R$850 million. Radar: EBITDA is expected in a range of R$100–R$150 million. Cosan Lubrificantes: Volume of lubricants and base oil sold is likely to come within 280–330 million liters. EBITDA is expected in the R$120–R$160 million range. Comgas: Volume of gas sold is likely to fall within 4–4.3 million cbm, while EBITDA is projected in a range of R$1.4–R$1.6 billion. Capital expenditure is likely to come within R$470–R$520 million.